To my knowledge - no one has been eaten by a Florida Panther since pioneers settled into Florida. It's possible a Calusa or Tequesta was gnawed upon in the pre-colonial days when 3000 or so of the cats roamed throughout Florida but i've seen no report of even an attack in the last 250 years. 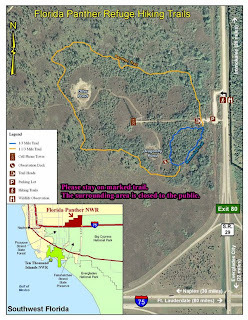 So it doesn't seem all that silly to me that the entrance to the Florida Panther National Wildlife Refuge is marked with signs for hiking trails. Panthers on the other hand have not been so lucky in the presence of humans. In the last 10 days, 3 of the final 100+ remaining cats roaming the farms and swamps in the pre-dawn hours suffered an Edison/Ford/Firestone fate while attempting to cross a road. Lights, metal, rubber - and the sleek, speedy cats were dead from a vehicle strike. The National Wildlife Refuge was established in 1989 and is the occasional home to anywhere from 5-11 Panthers. It's located just Northwest of the I-75/SR 29 intersection where one of the aforementioned cats was hit and killed last week. Fences line both roads to help keep all wildlife off them but sometimes they get around them or go through them after a sleepy driver has created an opportunity by going through it first. It happens once a week. There is a short 1/3 mile trail (blue) and a 1 1/3 mile unimproved trail (yellow) that visitors can explore on but much of the 26,500 acre refuge is off limits for the protection of the panthers and their habitat. Of all of the places I have explored in the Everglades I have yet to visit but after attending the Friends of the Florida Panther Refuge Annual Meeting tonight I have put this high on my list of things to do. Plus I have a brand new camera. Florida Panthers are a subspecies of the Mountain Lion (aka Puma, Catamount, Puma, Swamp Screamer) and have been restricted to the Big Cypress and National Park area of the Everglades. 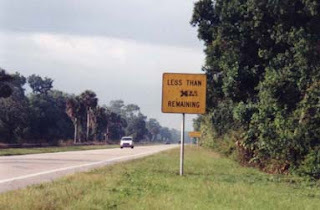 Human development continues to chip away at their habitat and although their numbers have increased from 32 in 1995 to 100+ today, more cats and more roads means more negative human/panther interactions. I won the photo below and a ceramic paw print cast at the meeting this evening. 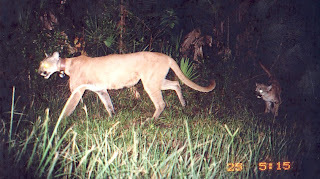 The photo was taken with an infrared camera and shows CFP #78 (Collared Florida Panther #78) and her kitten to the right. The collar is used for tracking and when mom stops roaming, biologists know she has denned up and it will soon be time to check in on her and hopefully tag her new born kittens with tracking devices. Habitat loss is a persistent threat with new developments planned within prime endangered Panther habitat. Vehicle fatalities continue as young disperse and attempt to find new territories - often fatally. And negative public sentiment continues to jeopardize the species survival plan as new and old residents take exception to what they ignorantly consider to be a dangerous animal. There is more at stake here than just the Panthers. As their habitat goes, so goes the habitat of the Black Bear, American Alligator, White-tailed Deer, Pileated Woodpecker, Woodstork, Roseate Spoonbill and many more. Stewardship is not compromise. Stewardship is protecting the natural ecosystem for their benefit and ours. If you live here in Florida or elsewhere consider a donation to the Friends of the Florida Panther Refuge and help protect a national treasure. 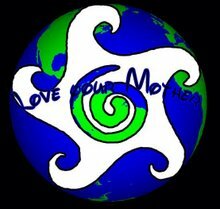 If you do I'll give a guided tour when you come to visit. When Thomas Edison visited Fort Myers on his honeymoon with Mina in 1895, he was so taken by the natural beauty of south Florida that he commented "There is only one Fort Myers and 90 million people are going to find it out." He established a winter home here along the banks of the Caloosahatchee River (pictured below) in 1897 and spent many winters tinkering in his lab and exploring the outdoors. Today the Edison/Ford Estates is a historical museum and botanical garden on the property once owned by friends Edison and Henry Ford. I volunteered here a few nights ago during Edison Holiday Nights where guests can enjoy the grounds and buildings lit up and decorated for the holidays. I enjoyed it enough that I came back the next night with a camera for the last night of the season. My Great Aunt Hilda lived a mile up the road from here when I was a kid and we would visit the museum during our visits from Venice. The largest Banyan tree in North America stretches across an acre of land behind Ma-Le and Margie - (posing here with the equally gigantic Edison. He was 8 feet tall.) Edison's lab was used primarily for research into alternative derivations of rubber and napping. His failure to efficiently harvest latex from goldenrod was one of the few failures in relation to his many successful inventions and patents. So let's not dwell on it. I assume this was originally a 3-horse garage? In 1916, Edison's good friend Henry Ford moved in next door with dreams of ubiquitous motorized carriages, streets with no horse poop and something south Florida had never seen....traffic. As Edison grew older his visits to the "Seminole Lodge" became less and his winter visit in 1931 would be his last. He passed away at age 84 on October 18th of that year. One of the signature tree species found not only on Edison's property but lining the avenues and parking lots all across south Florida is the Royal Palm. The trees famously line McGregor Boulevard which runs the length of the Caloosahatchee River southwest towards Sanibel. What looks like a black and white is actually a color photo with long exposure. if you look closely you can pick out some of the reds. In the background is Henry Ford's historic home. I still enjoy walking the grounds and peering into his home and lab. That sounds creepy. But I do so with a sense of logging for a day when things seemed more genuine and less commercialized. As Edison conceived, designed, developed and evolved so much of his eras technology with the full intention of making life better and easier I wonder how he would look at the world we live in today. 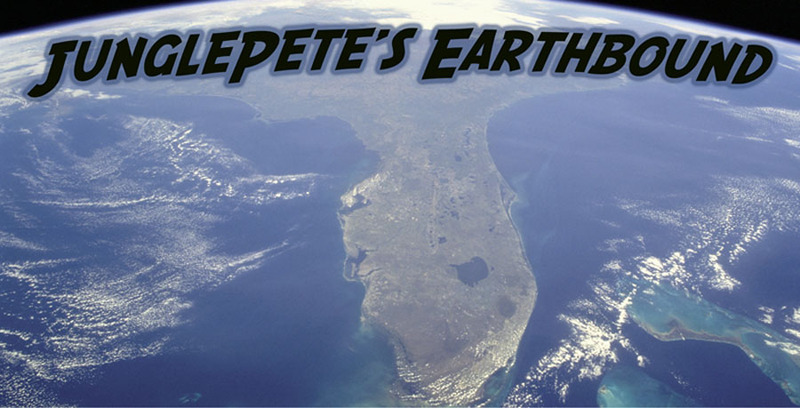 "90 million people are going to find it out" echos in my head as I stand along the shore of the Caloosahatchee River. I've seen the quote in several places. Some sources suggesting Edison said it with sorrow. Other saying he said it with an enthusiastic vision of the future. I think back to 1909. There was no hum of traffic. 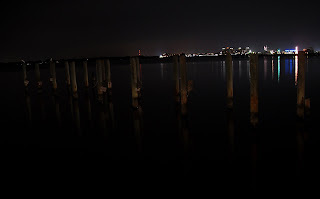 There were sparingly few bulbs to light up the night. This small plot of land - this piece of history remains relatively unchanged compared to what is out there....It is ironic that Edison and Ford's winter homes have become an oasis of simplicity.